Goat Hunting is physically demanding hunt, requiring the hunter to be in good physical shape. The season starts in early September, and goes until the end of November (weather permitting). 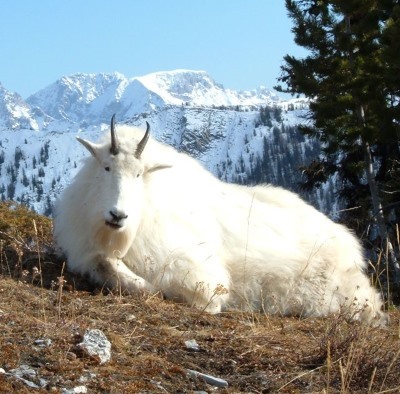 The goat hunts run 9 days in length and are generally conducted on a spot and stalk basis. During a September hunt, the weather is usually much nicer and the goats will be higher up on the mountain sides. As the season progresses their coats get thicker, and their hair grows longer in preparation for winter. From early October towards the end of the season their coat will be in its prime, and will make an incredible trophy mount.